Electrical Contractor based in the North East. As approved NICEIC electrical contractors, our customers can count on us to provide quality, comprehensive electrical services, throughout the UK. 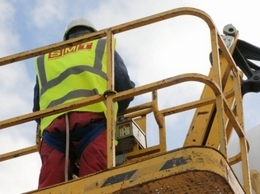 SMT Electrical Contractors Limited have been providing one of the most comprehensive electrical services available in the North of England for over 30 years.